To mitigate the risks and enjoy the productivity-enhancing benefits of bring your own device (BYOD), it is crucial to put a corporate BYOD policy in place. However, as with any evolving trend, keeping pace with the times is crucial. 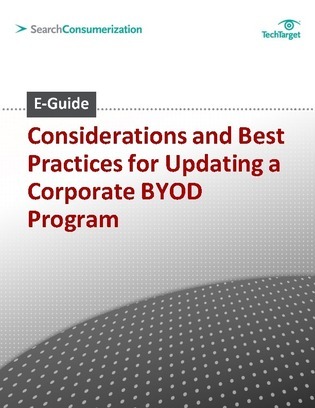 In this timely E-Guide from SearchConsumerization.com, uncover whether it’s time to update your BYOD program or not as we explore best practices and considerations to keep in mind when creating your BYOD policy.